Tailor-made tours, even on this weekend. Do not hesitate to call. If you have an important guest, who has to be in good hands, do not look any further. We are thrilled to tailor our tours according your guest’s special interests, let it be military history or contemporary Hungarian design. Our guides are confident on various urban subjects and always look for new challenges! Before World War 2, hundreds of thousands of Jews lived in Budapest, creating one of the World’s largest and most diverse Jewish community. The Austro-Hungarian Monarchy brought a golden age for its Jewish citizens. 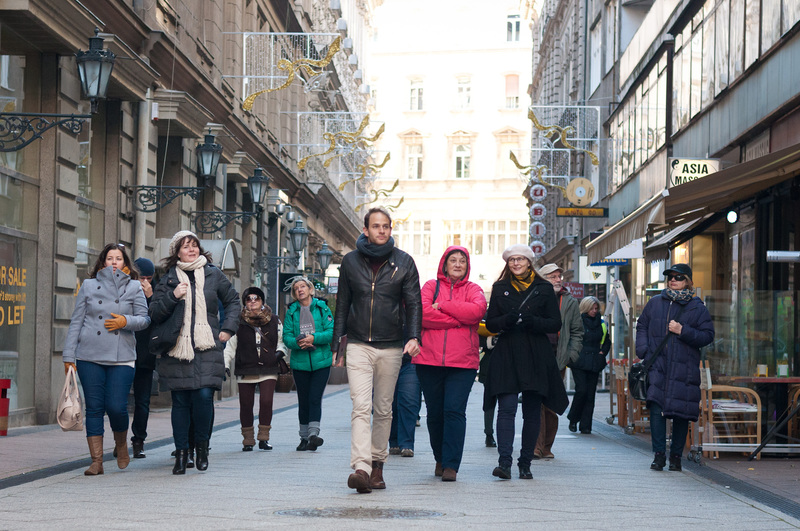 If you are interested in the history and presence of Budapest through the lense of Budapest’s biggest minority, or looking for your Jewish ancestors, join us on this tour! You will not only understand Hungarian Jewry’s history better but also immerse yourself in a buzzing contemporary Jewish cultural scene. Budapest’s crumbling facades often hide the capital’s most intriguing venues. Clubs, workplaces, theatres, galleries and farmers’ markets, sometimes all at once. We show you how ruin pubs recharged the city’s creative energies, where Budapest’s creative minds manage to work and play at once. If you are less inclined toward history and rather want to focus on the here and now, join us on this tour and you will be more up to date on new spots than the average local.